Canada’s Wireless Code was created in 2013 to help protect cellphone customers from runaway charges. But critics say it needs fine-tuning to help Canadians manage their growing thirst for data in our wireless world. After CBC News ran a story about a cellphone customer who got hit with a $24,000 data roaming charge, more customers started writing in with their own nightmare bill stories. And most involved big data charges. "It's still haunting me and makes me angry," wrote Toronto's Lobsang Yargye, who received an unexpected data roaming bill for $1,117. As we do more of our living online, we're developing an even greater thirst for wireless data. And often, it doesn't come cheap. Canada's Wireless Code was created in 2013 to help protect consumers from runaway charges. But even the country's regulator acknowledges it needs fine-tuning. The Canadian Radio-television and Telecommunications Commission is reviewing the code. And critics say it's time for the CRTC to put some tougher measures in place to ensure Canadians don't get stung by excessive wireless fees. "Data can be very expensive, especially if you go over your plan," said Alysia Lau, legal counsel for the Public Interest Advocacy Centre in Ottawa. "We think protection from data bill shock is absolutely important." Who's approving your data charges? 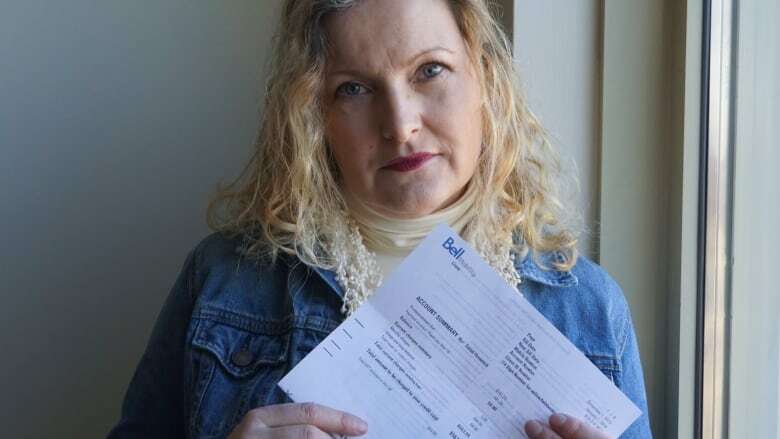 When Sarah Lewis of Brockville, Ont., received her Bell bill in December 2015, she says she was floored to discover a $493.66 charge for exceeding her iPad's wireless data limit. "My heart hit the floor. I was in shock," she said. 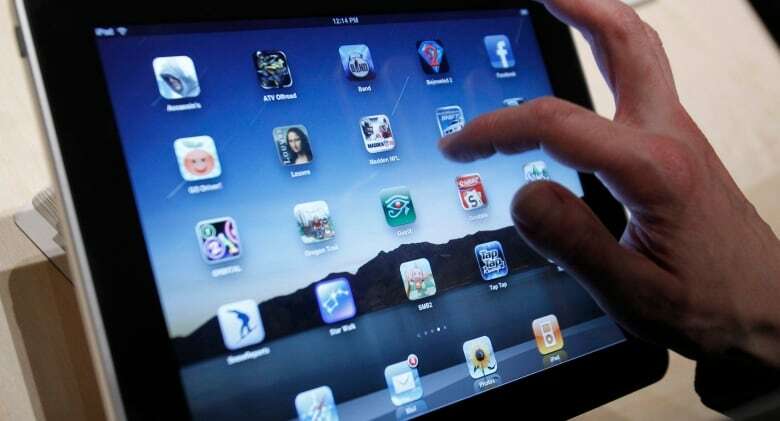 The single mother says she used the data sparingly on her iPad and would have never knowingly run up the bill. "It was just so heartbreaking to see that money go for nothing," said Lewis, who went by her married name, Fernetich, at the time. To protect customers from runaway charges, the Wireless Code says service providers must cut customers off once they run up $100 in roaming fees and $50 in data overage charges. Customers can only continue if they consent to paying for more data, typically by responding "yes" to a text message from their provider. Lewis's bill shows somebody consented to the added charges. It wasn't until recently that she learned how the approval system works. Now she realizes her teenage son must have provided consent. "We don't let children make decisions like that," she said. "They've got to think of a better system." The CRTC has already acknowledged the problem of children approving charges in a shared family plan where there are multiple users, each with their own phone. Major telecoms Bell, Rogers and Telus all told CBC News they offer tools like alerts, apps, blocking options and roaming package deals to help customers monitor and manage their data. As a further protection, Bell has proposed that the code require service providers to email account holders — that is, the parents — when another device user on the account approves data overage charges. Telus has suggested allowing a user to consent to additional charges only if the account holder has provided approval in advance. But those proposals wouldn't help people like Lewis, who didn't have a family plan, just a single iPad she shared with her kids. 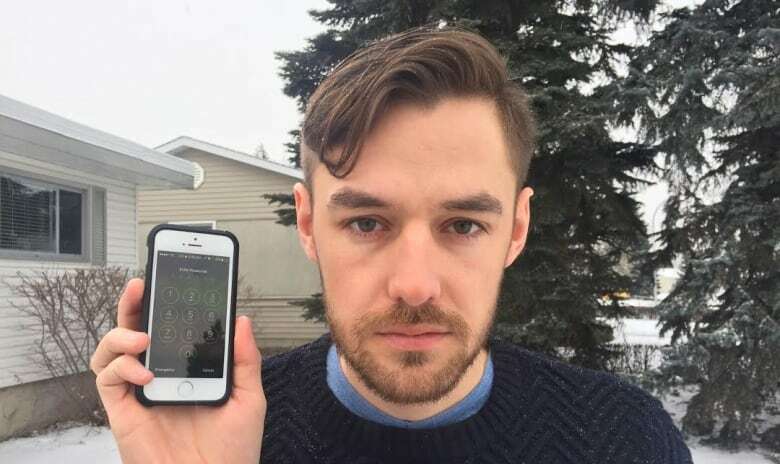 Plus, it wouldn't protect people like Jesse Janssen of Vancouver, who didn't report his lost cellphone for two weeks. During that time, a mystery person approved $24,156.91 worth of data roaming charges by replying "yes" to a text message on his phone. His provider, Telus eventually dropped his charge to $1,224. "You should not be able to just say yes over text message," said tech analyst Daniel Bader. The senior editor with the tech site Mobile Nations believes the Wireless Code has served Canadians well. But he says it's time to beef up the rules. "The CRTC needs to implement much stronger checks and balances on these authorizations and consents." He proposes a verification system where users must also enter a personal identification number when consenting to added charges. After their own experiences, both Janssen and Lewis agree inputting a password would better protect consumers — even though it requires an extra step. "I'd rather one minute of inconvenience than a [$500] bill at Christmas time and the heartache," Lewis said. A passcode may help prevent some Canadians from getting surprise cellphone charges. But there's another issue the code doesn't address: data plan prices. When the CRTC asked Canadians to submit their bill shock experiences, many complained about data costs. "Data prices are outrageous!" wrote one person. "Cellular providers gouge based on demand. It used to be minutes, now it's data," said another individual. According to a CRTC-commissioned report, Canadians pay some of the highest rates for wireless service in the world. Internet advocacy group, OpenMedia argues the best way to protect Canadians from nightmare wireless bills is to mandate more affordable plans. The Vancouver-based organization says that would include an unlimited data option at a reasonable price. Unlimited data plans aren't widely available in Canada. But in the U.S., three major carriers — Verizon, T-Mobile and Sprint — each offer some version of an unlimited deal to all customers. "We're not really going to see that bill shock dissipate until there's some sort of reasonable unlimited option for Canadians," said Meghan Sali, OpenMedia's digital rights specialist. The CRTC has said repeatedly that it doesn't meddle with telecom pricing. But last year it mandated a $25 skinny basic package for cable TV customers. Price regulation may not be in the cards for wireless customers. But critics — and many consumers — say it's clear the CRTC needs to consider some kind of new measures to further help Canadians manage their data. After all, as Sali warns: "We are only going to be using more and more data."